Cherry pickers can be hired for a multitude of uses, with or without an operator. They’re an extremely useful and often essential piece of machinery for working at height. Variously known as a basket crane, boom lift or man lift, it’s an elevated aerial work platform operated by a hydraulic lifting system. The look is quite distinctive – a cradle or basket attached to a long extendible arm that can reach great heights and some of the most awkward locations. Cherry pickers have been around for many years. Here are just some examples of how they’ve revolutionised our approach to safe working practices at height. As the name suggests, cherry pickers were originally designed to help with – you’ve guessed it – picking cherries! Still widely used in fruit orchards around the country to help harvest hard-to-reach treetop fruit, cherry pickers were invented back in 1944. Since then, fruit picking, in terms of safety, productivity and efficiency, has been revolutionised. Whether it’s high access power cables, street lighting or telephone wires that need to be inspected or serviced, cherry pickers offer a safe and easy way to work at height. In times gone by, engineers would have been expected to climb up telegraph poles or work off ladders – can you imagine the danger they had to put themselves under! 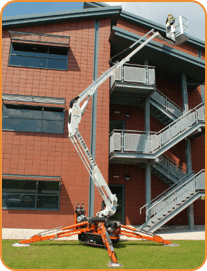 For high level maintenance of building facades and regular window cleaning, cherry pickers are the obvious choice. A lot safer than simple ladders, and easier to erect and move than scaffolding towers, the secure working platform also provides space for tools and equipment. A cherry picker is a hugely valued piece of firefighting equipment, and is routinely used by our fire service. It allows fire fighters to access higher floors and also provides a safe platform from which to rescue people trapped in buildings. As a contributor to saving lives and public safety in general, cherry pickers are right up there! They may not be visible in the end result, but cherry pickers are often used to great effect by movie directors to achieve compelling cinematography. 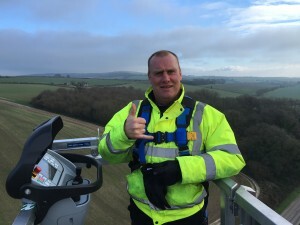 Whether the camera crew operate from the aerial platform high up on the cherry picker, or a camera is mounted direct and remotely controlled, incredible camera angles and sequences can be achieved that would not otherwise be possible. Whatever your requirements, we have a large range of access platforms available, including self-drive truck mounted cherry pickers, trailer mounted cherry pickers and narrow tracked spider lifts. For professional advice and further information, call MC Property Maintenance on 01243 262 714 or 07795 295 474. 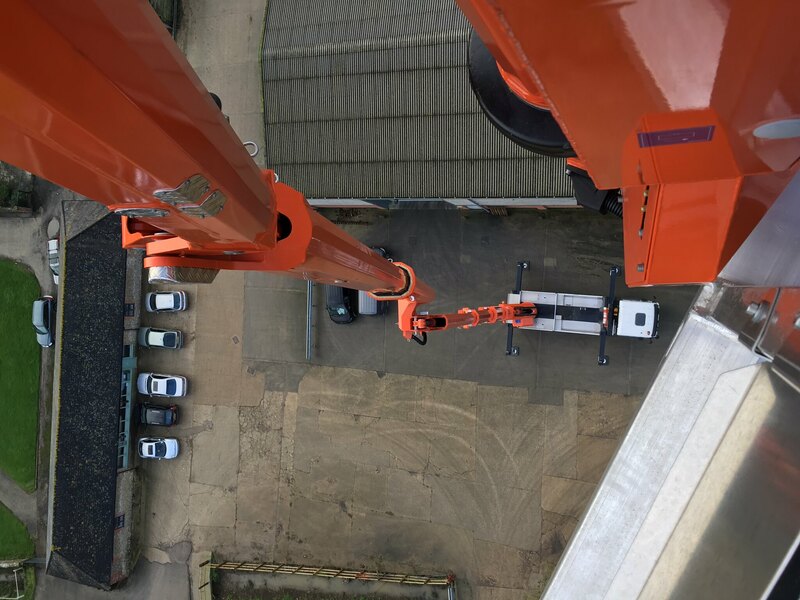 When you work with the Palfinger 480 it’s important that you have a good head for heights…here is one of our operators at nearly the full height of 48 metres…. Simon doesn’t mind its all in a days work. 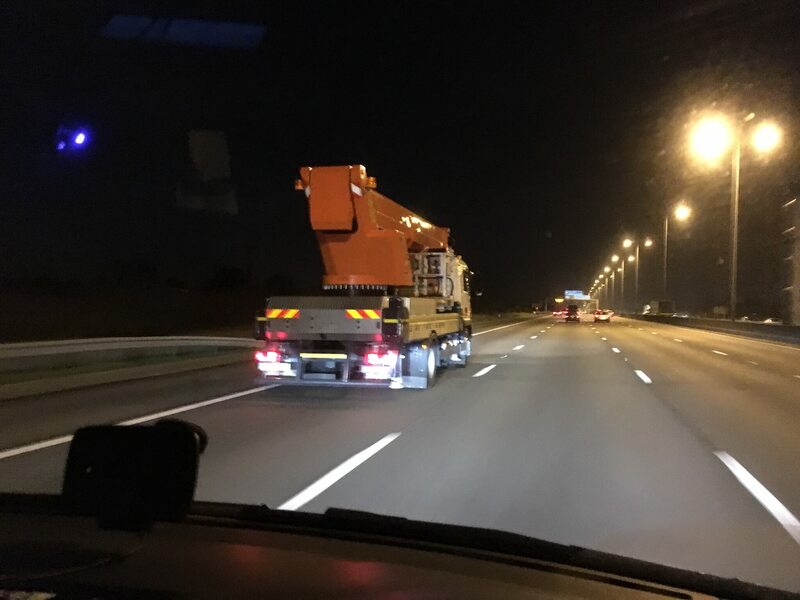 Our new Palfinger 480 was caught on the motorway, by a client, on its way home from a hard days work. Once leaving a job our operators still have plenty to do. Once it got back to our yard this bad bay needed cleaning and checking before being filled up with fuel ready to roll out for another day of high access performance. 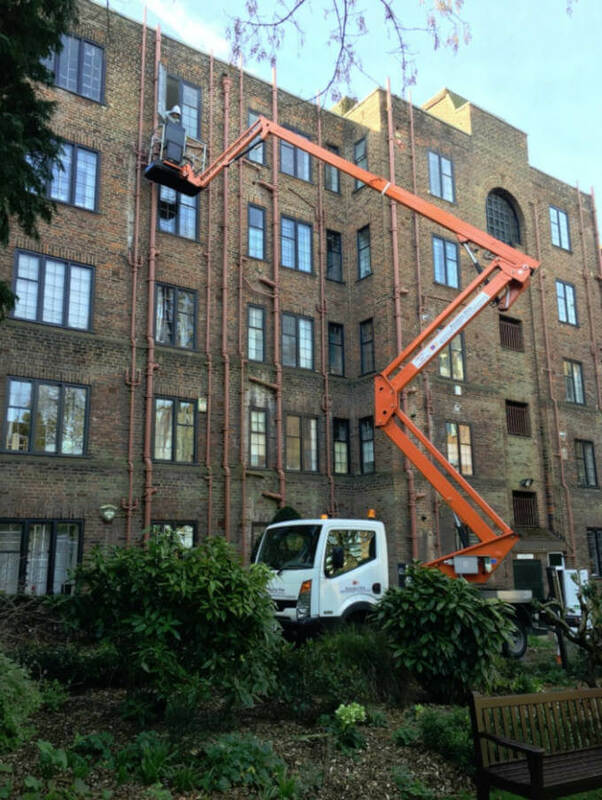 Our CTE ZED 21JH truck mounted cherry picker completed another successful mission for our clients in Putney today. After arriving on site in London by 8am, our trained operator quickly went through the Health and Safety procedures with our clients and got on with the task by 8.30am. This two day hire is typical of the sort of work MC Access is winning time and time again. 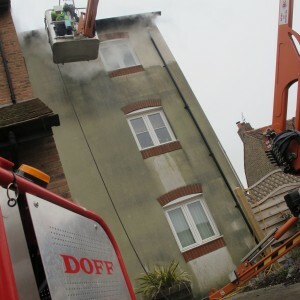 With the versatility of cherry pickers and with the guidance of our expert operatives, our clients work was quickly completed. After investigating a scaffold solution, our clients found that by using MC Access not only did they save a considerable amount of time, they also saved themselves money.